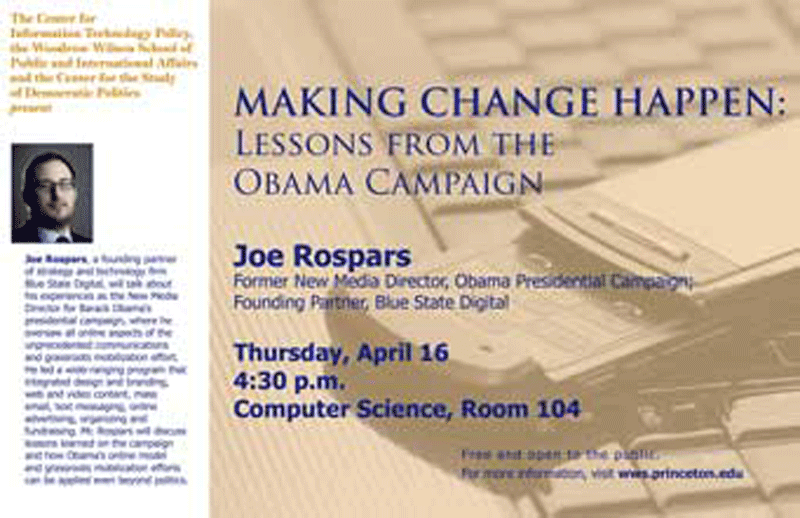 Joe Rospars will talk about his experiences as the New Media Director for Barack Obama’s presidential campaign, where he oversaw all online aspects of the unprecedented communications and grassroots mobilization effort. He led a wide-ranging program that integrated design and branding, web and video content, mass email, text messaging, online advertising, organizing and fundraising. Mr. Rospars will discuss lessons learned on the campaign and how Obama’s online model and grassroots mobilization efforts can be applied even beyond politics. 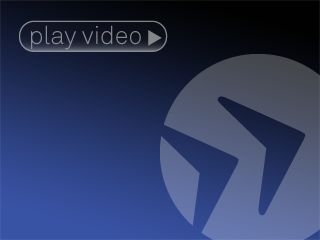 Mr. Rospars is a founding partner of strategy and technology firm Blue State Digital. Prior to the Obama campaign, Mr. Rospars led BSD’s work with Gov. Howard Dean at the Democratic National Committee; during Dean’s campaign for party chairman; and at Democracy for America. He was a writer and strategist in New Media for Dean’s 2004 Presidential campaign. He holds a bachelor’s degree in political science from George Washington University.